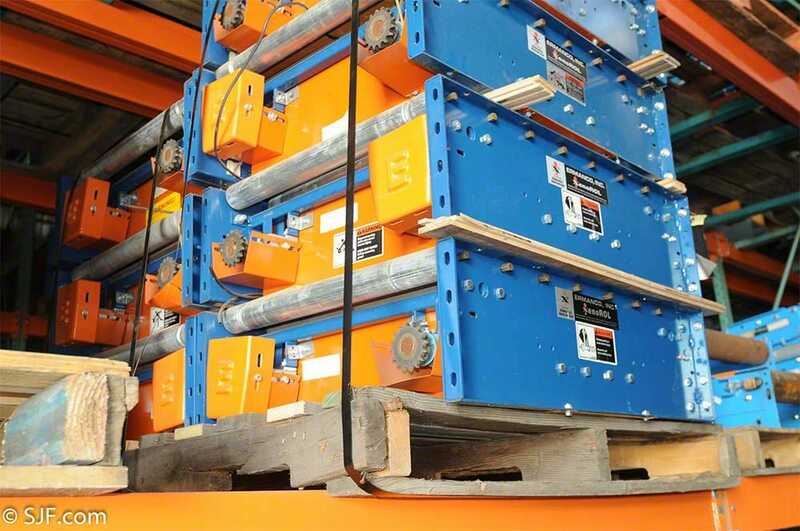 SJF Material Handling is an authorized nationwide distributor of Omni and Atlantis conveyor. SJF can provide other popular brands at your request. 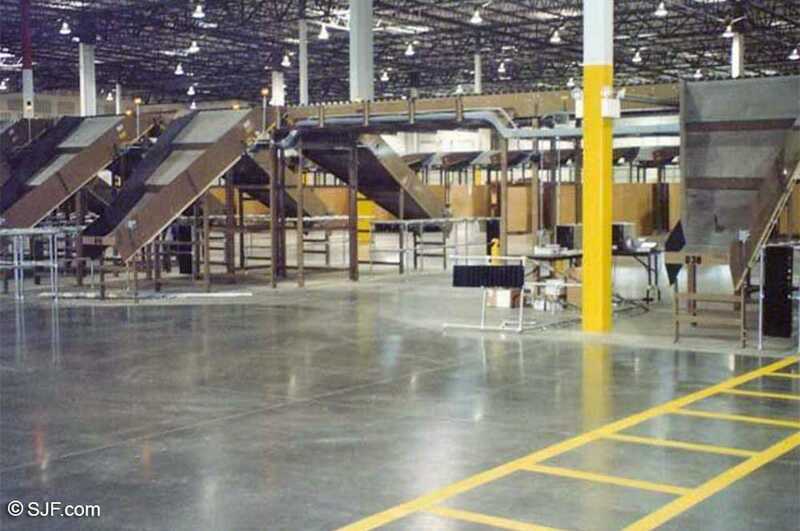 SJF's company history has provided custom conveyor solutions for clients large and small, nationwide. 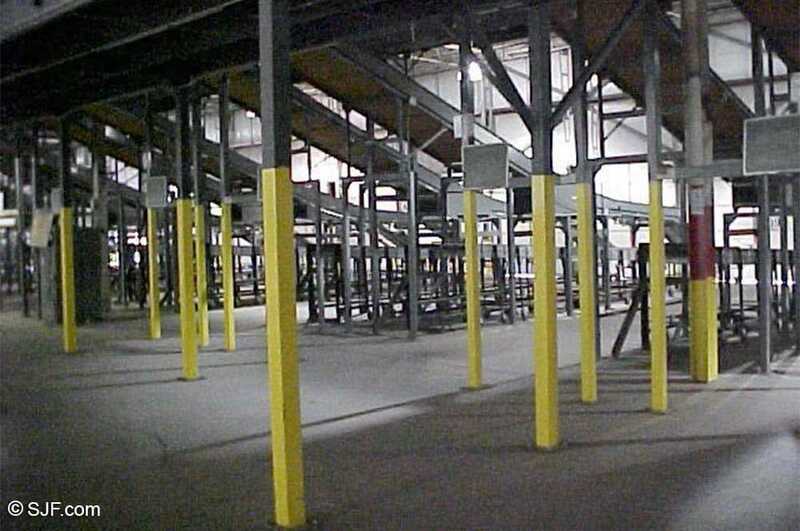 In fact, the employees at SJF are among the best in the business for providing performance packaged cutting edge warehouse conveyor handling systems and robotic solutions. 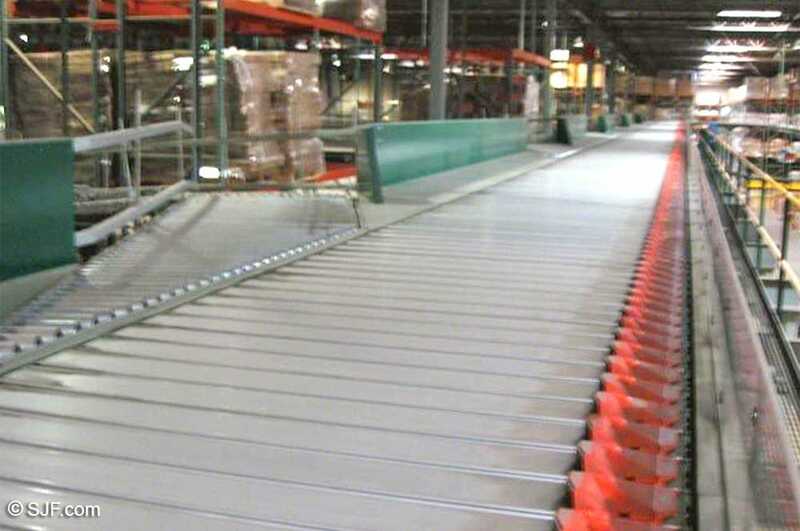 Call us today and speak with any of our friendly conveyor solutions specialists at (320) 485-4974 (direct customer service sales line) or (800) 598-5532. 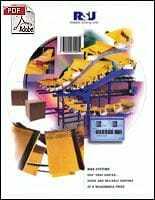 Click the video above to see a short demonstration of the Hytrol ProSort 131 Shoe Sortation System. 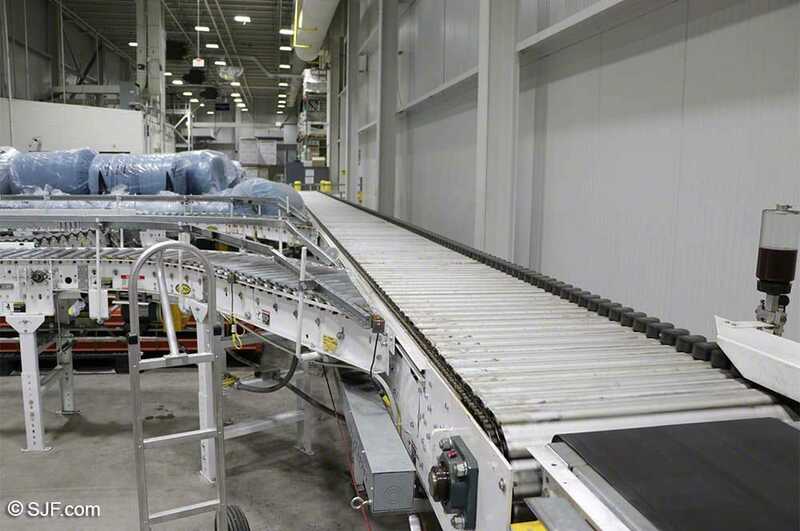 The SJF "Airsweep" Sorter shown in the photos and video was specifically designed for a Minnesota client to quickly fulfill and distribute incoming sales orders of bagged clothing product. 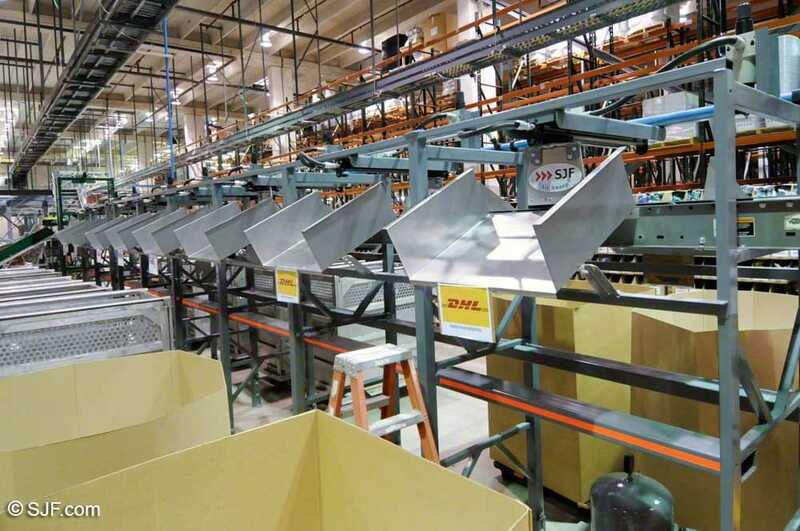 The "Airsweep" sorter from SJF is specifically designed to quickly and efficiently sort hard-to-handle packages such as bagged product. 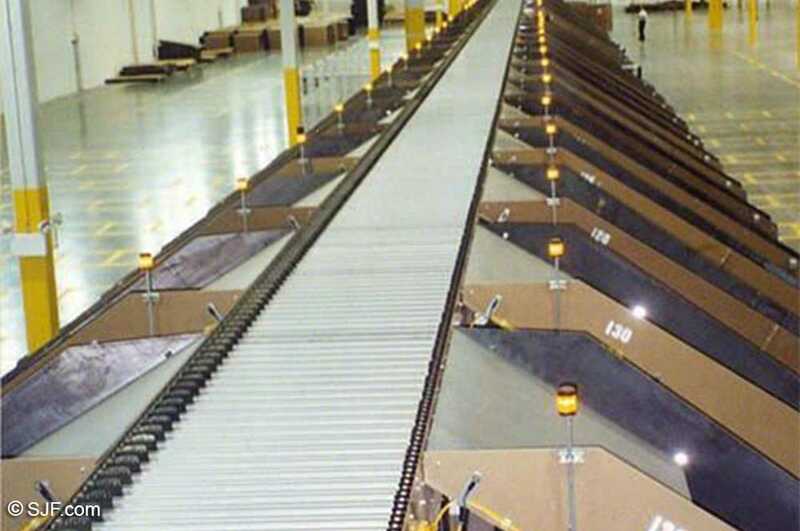 This system shown above allowed our client to vastly increase the number of orders processed per day, as well as accommodate future growth and increased product demand. 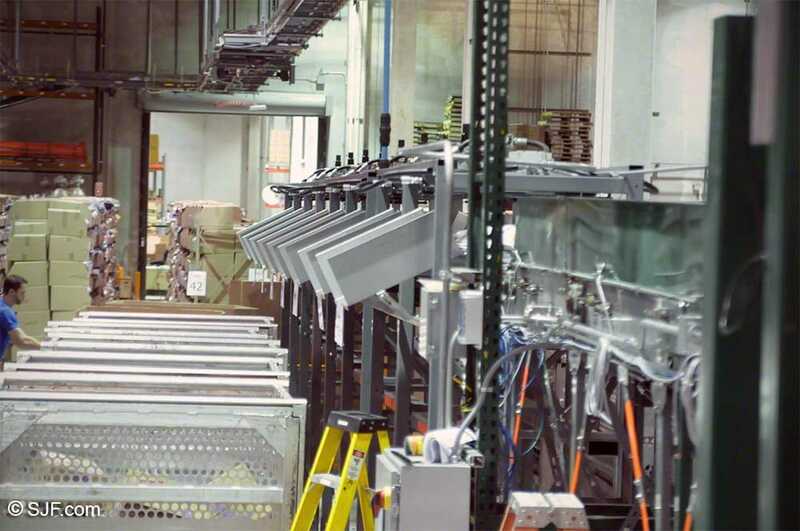 Contact SJF today and discover how we can design, build and install a system for your company complete with WMS and order fulfillment management software specifically designed to fit your needs. Product weights from 3 oz. to 25 lb. 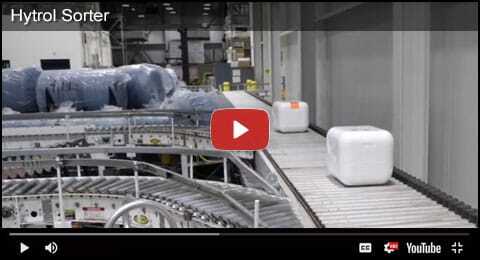 The above video demonstrates how an Airsweep Sortation Conveyor helps create space between packages, aligning the packages before they are scanned and labeled. 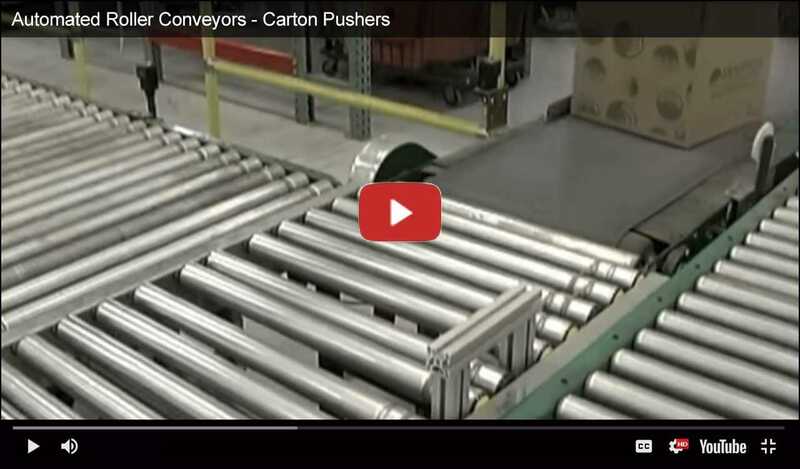 This video demonstrates a push/pull sort system that diverts boxes to separate conveyor lines utilizing a barcode scanner. 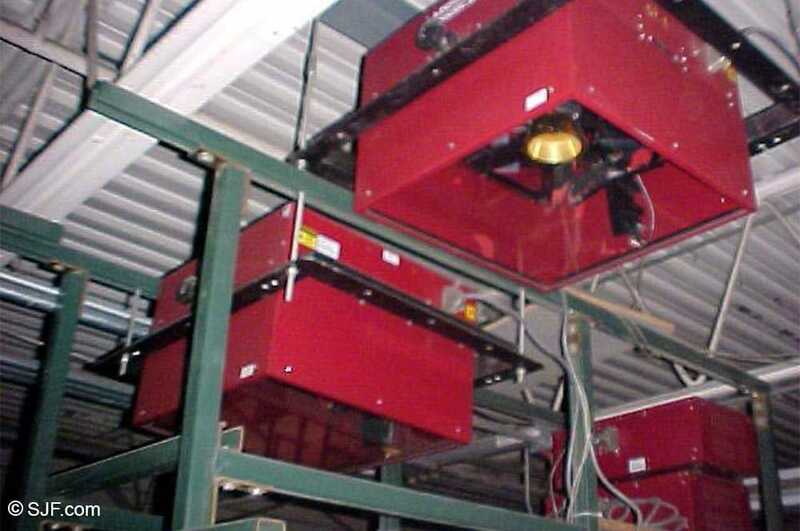 These two sortation systems were just removed from a low-use facility. 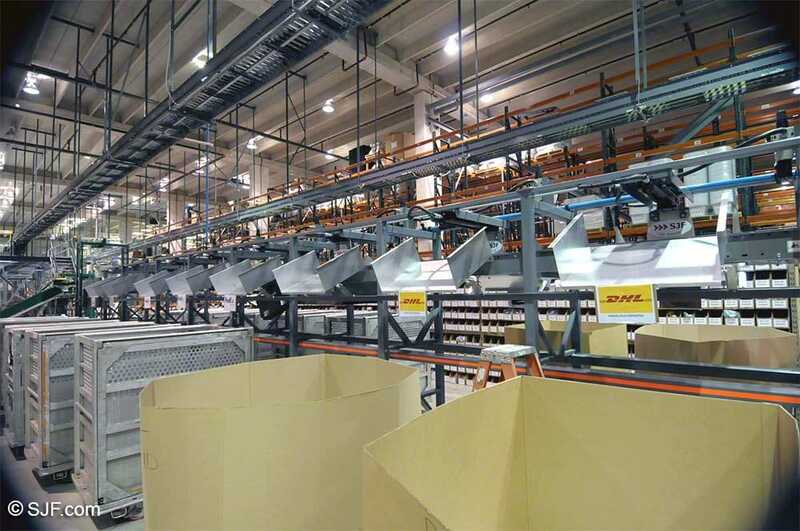 These TGW Ermanco sorters are very energy efficient and quiet because they utilize a series of narrow belts with individual take-ups. 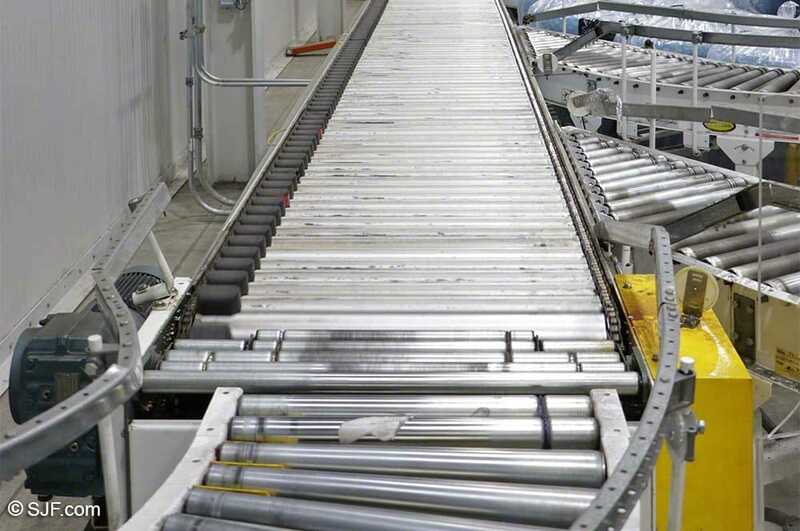 High-friction rollers raise to grip and gently divert products at a 90-degree angle right or left, on-the-fly. 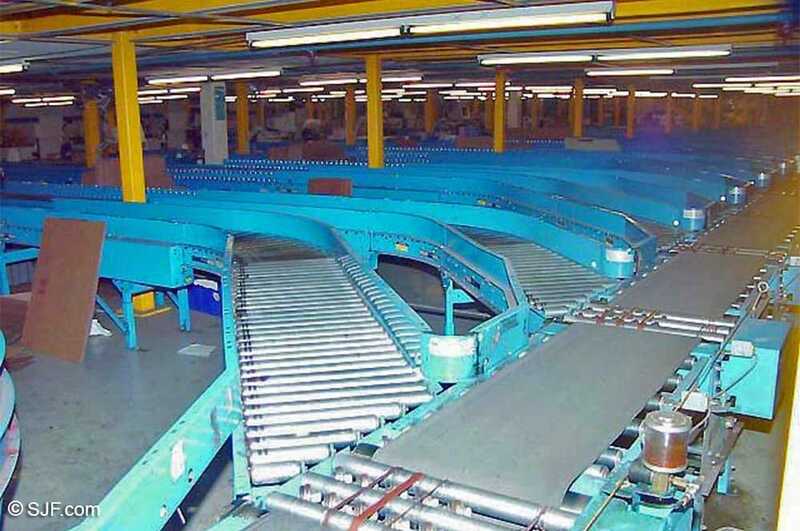 Continuous contact between belt and product provides maximum tracking accuracy for optimum sort reliability. 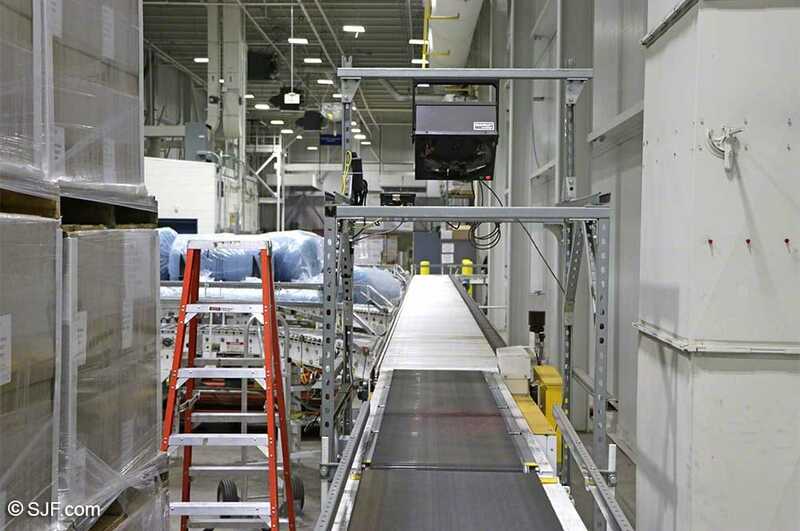 These NBS 90 sorters run at speeds of 300 feet-per-minute with sort rates up to 65 cases-per-minute (single side). 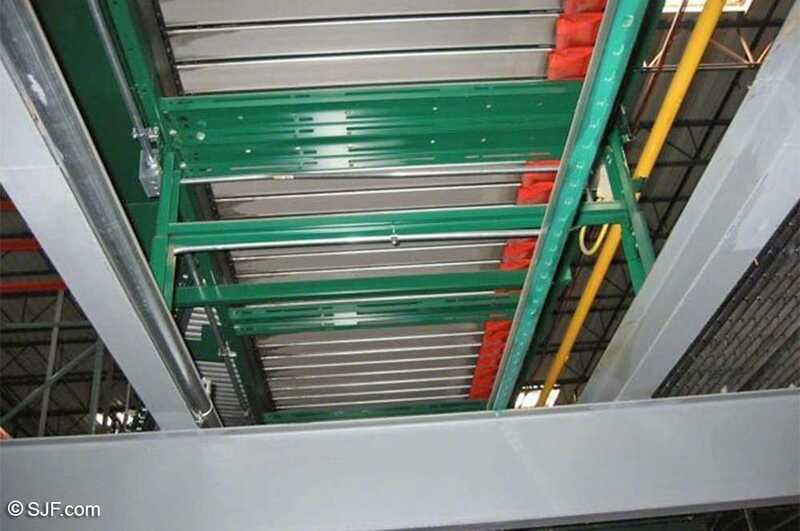 Installation is quick and easy and can generally be done in half the time of conventional sorters. 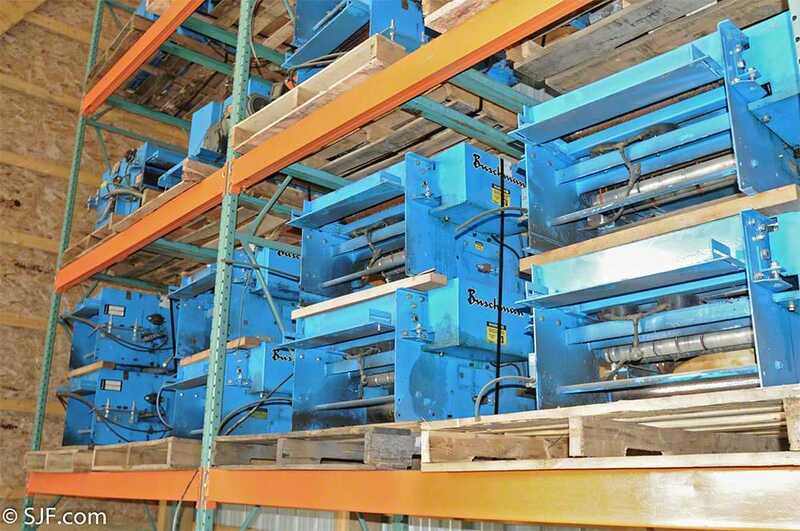 The NBS 90 sorters are designed to provide less product tipping and skewing, and overall superior diverting characteristics. 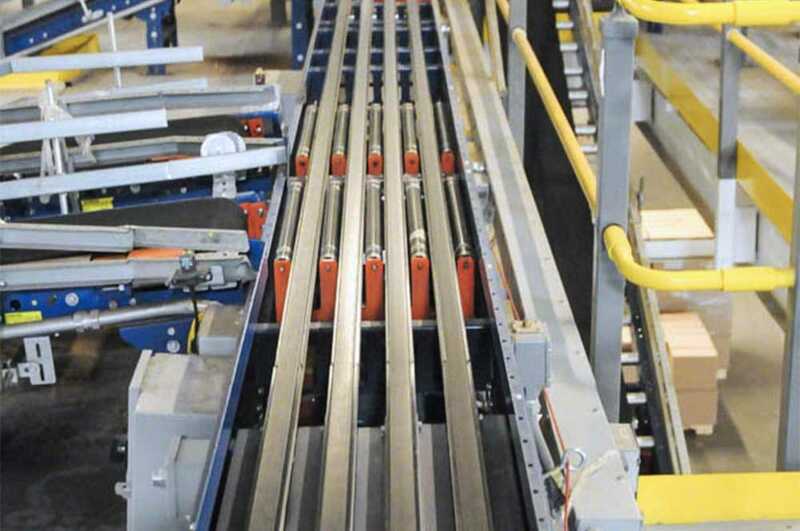 These sorters also inherently have less noise, belt pull and component wear than traditional sorters. 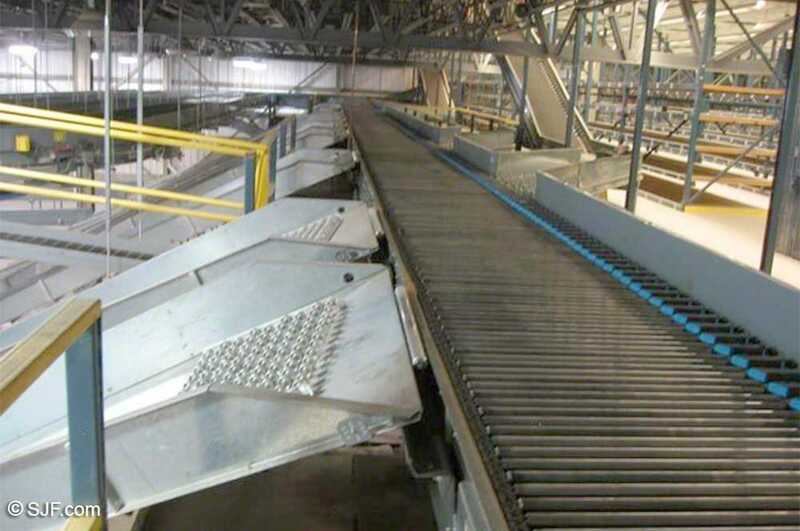 Product minimum size: 6" x 9"
This sortation system is a W&H RSU-23 Tilt Tray Sorter that was originally manufactured and installed in early 2000. 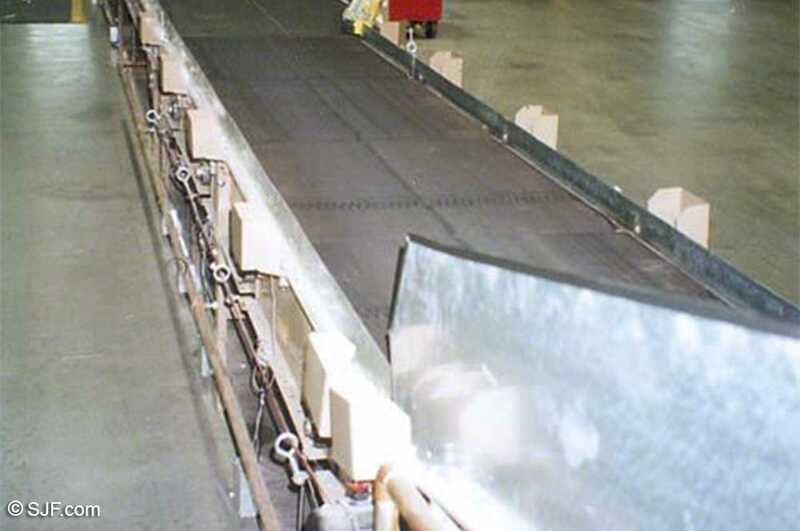 In 2008, this tilt tray sorter was professionally dismantled, packaged and transported to SJF's warehouse storage facility in MN, where it currently resides. 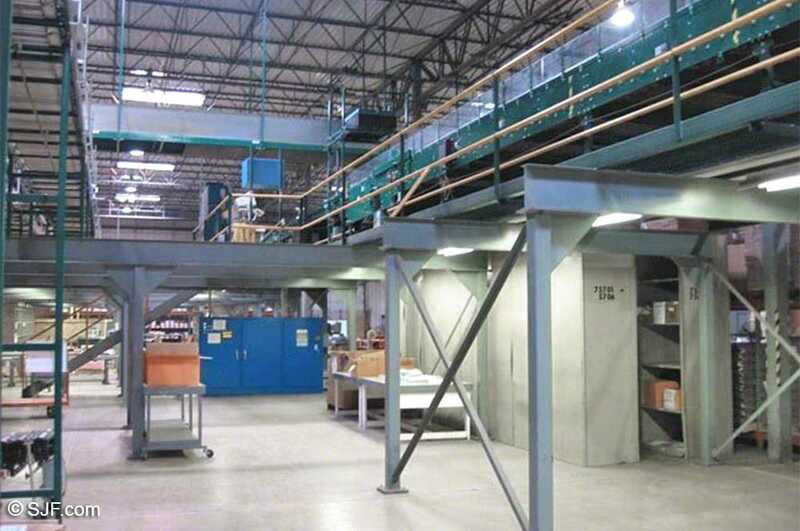 Original owner's manuals including blueprint drawings are available and included in the purchase of this sorter. 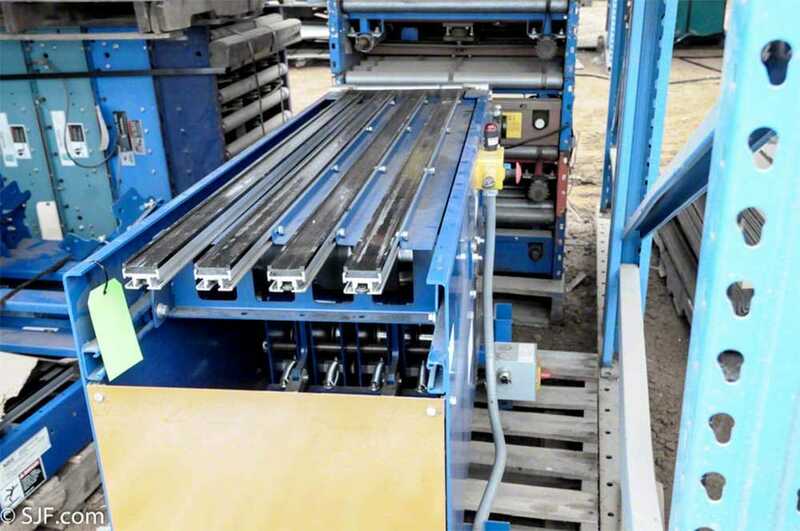 Inspection of this equipment is available and will be provided to interested buyers upon request. 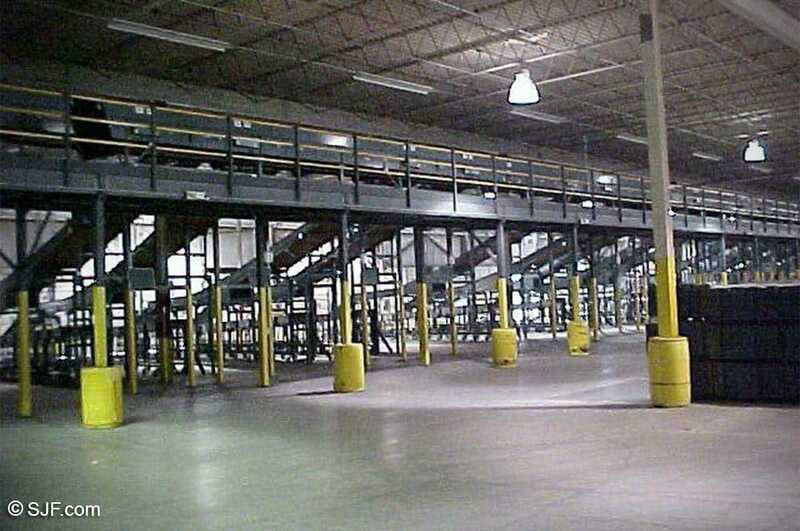 Original owner's manual & layout blueprint available upon request. 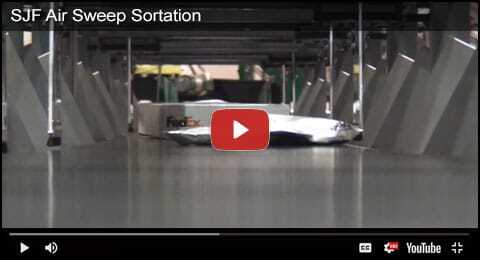 Click the video above to see a short demonstration of the Tilt Tray Sorter. 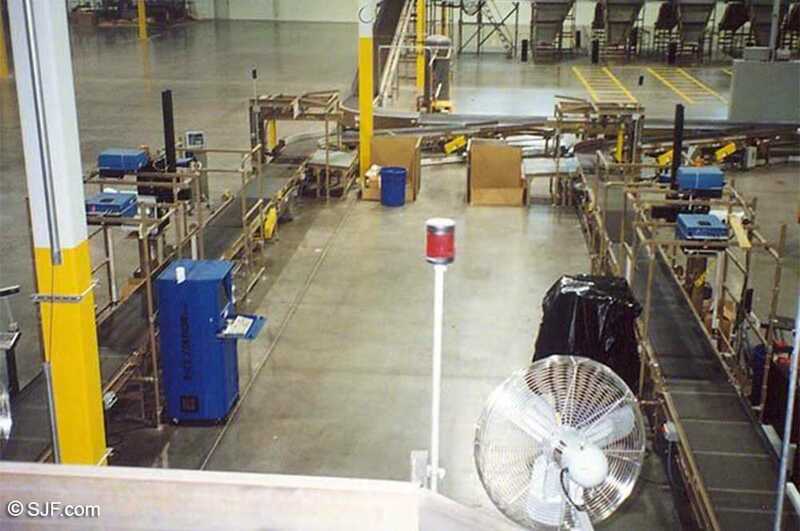 This Buschman sortation system can be sold as-is or reconditioned for an additional cost. 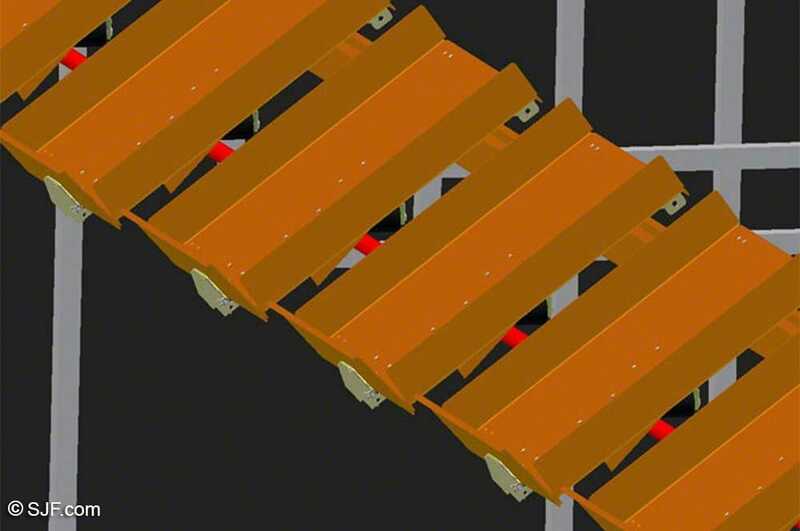 This sort system includes spurs, curves, drives, metering belt, brake belt, scan belt, lift gates, stands, merge beds and more. 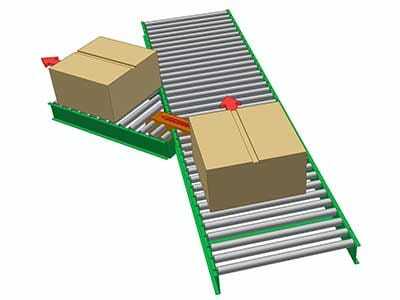 Powered conveyor is 24" usable pallet conveyor with 11 pallet transfers and one chain transfer. 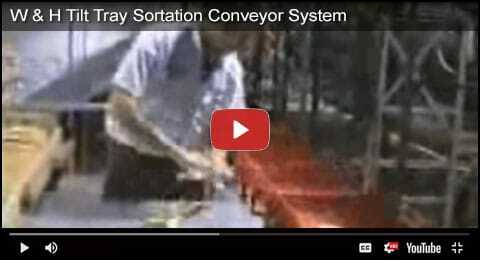 The Unisort X model of sortation is the fastest conveyor Buschman has to offer. 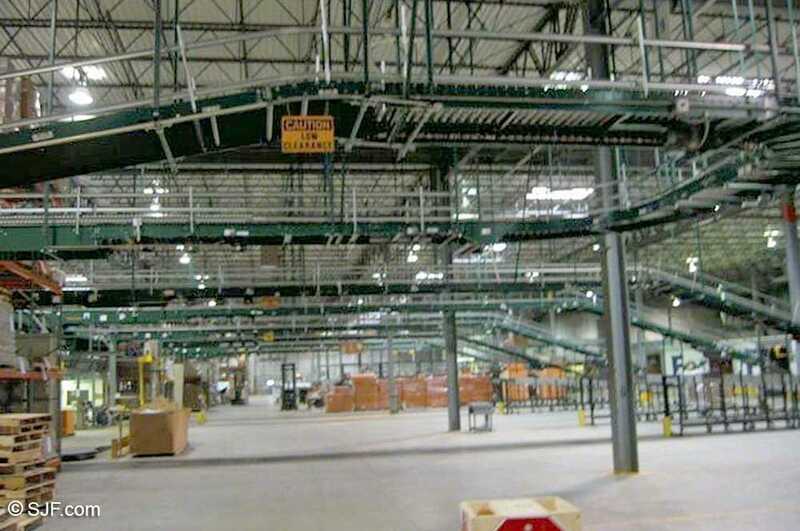 This sorter is a 36-lane sortation with mezzanine for structural support. Case sizes accepted are 48" x 27" max. and 6" x 6" min. 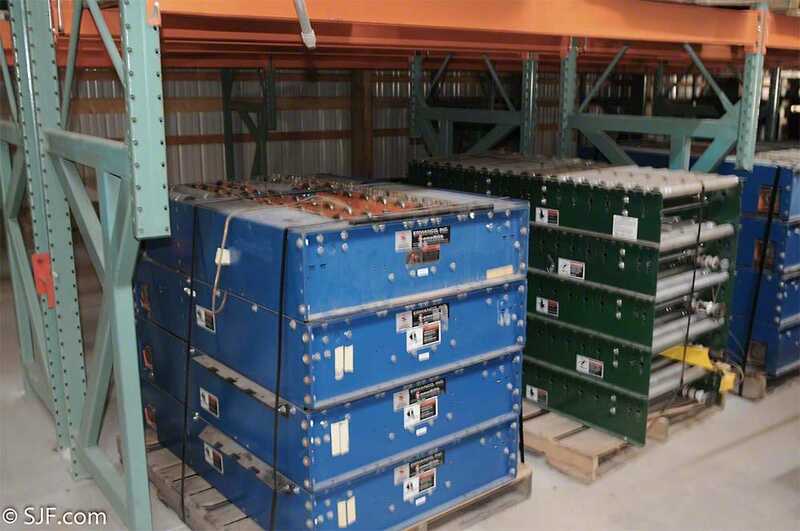 This system can be sold as-is or reconditioned for additional cost. 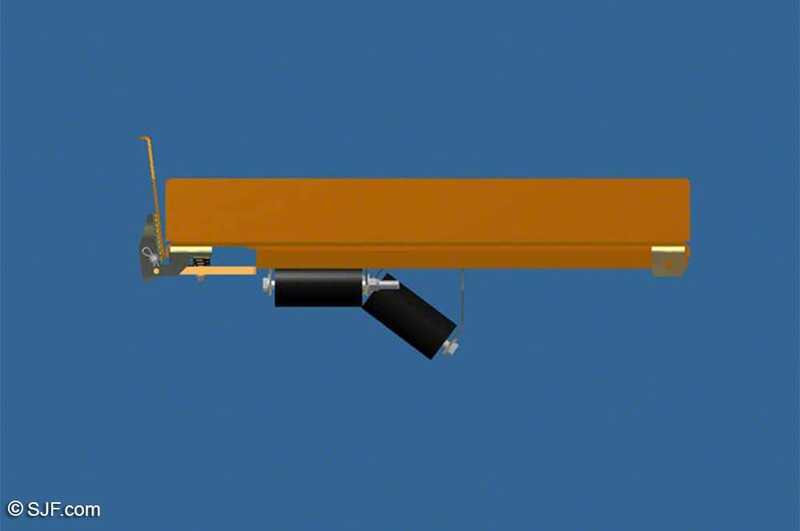 All plans and manuals are also available for this model. 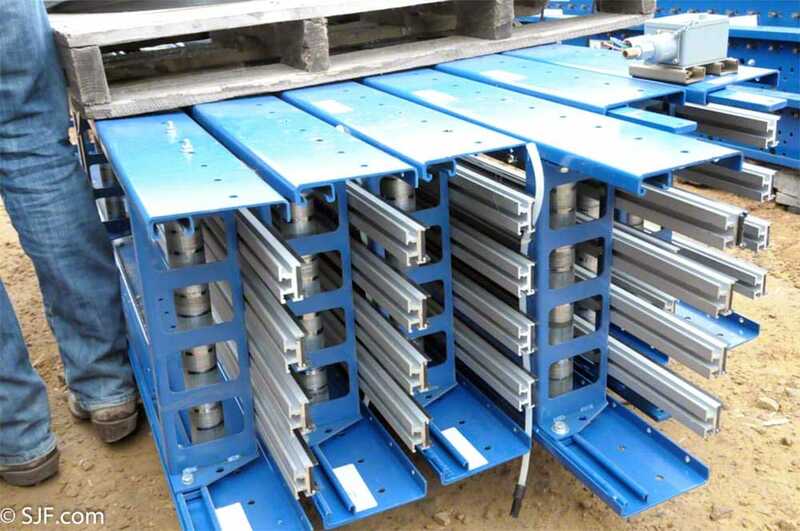 In addition to the above listings, we usually have the following conveyor equipment in stock: used sortation component parts, adjustable conveyor stands, used conveyor belt, used conveyor rollers, used conveyor drives, used conveyor guardrail, complete used sortation conveyor systems, used sortation system controls, pushers, diverts, spurs, tilt tray sort systems, scan heads, gap generators, in-line scales and more. 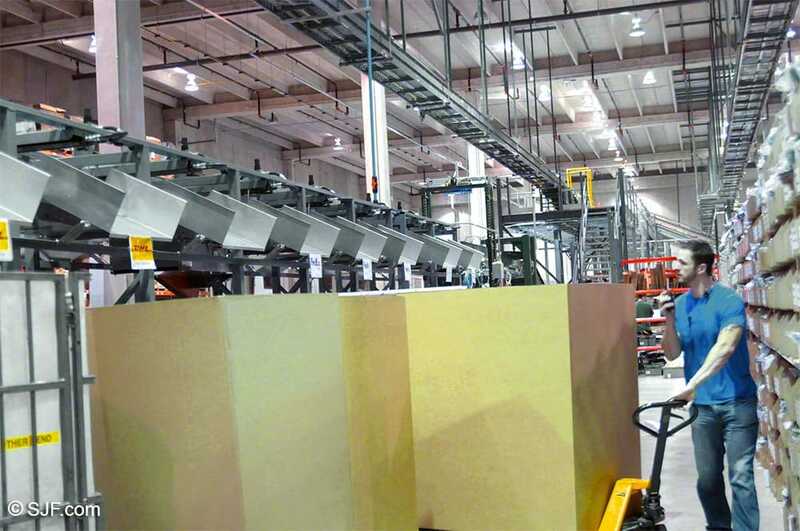 TGW Ermanco 32" OAW x 29"L – Bi-directional UBT workstations $2,460 ea. $600 ea. 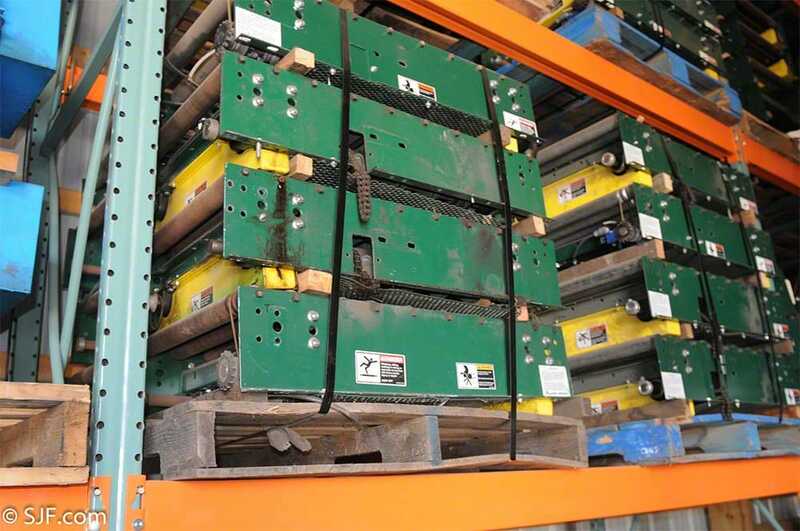 Rapistan Dematic 34" OAW x 29"L – UBT, self powered $3,300 ea. $700 ea. TGW Ermanco 24.5" OAW x 32"L – UBT $2,280 ea. $500 ea. 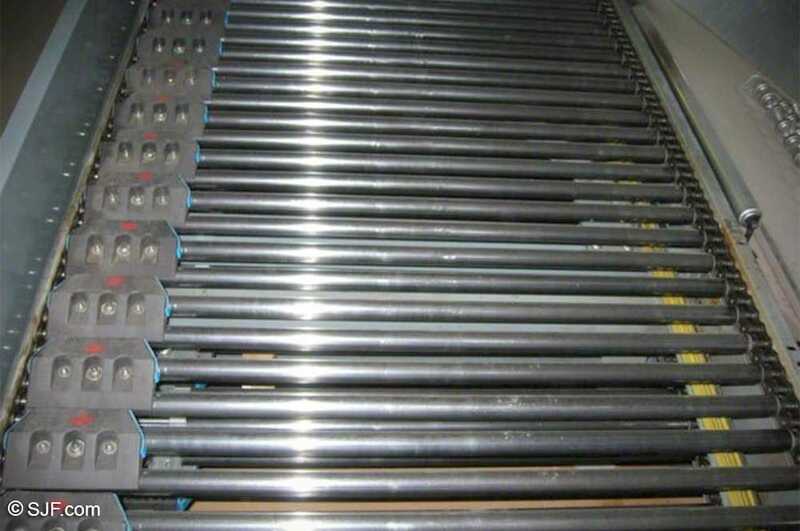 Rapistan Dematic 1256 Lineshaft – 24.25" OAW, pop-up UBT $2,280 ea. $500 ea. 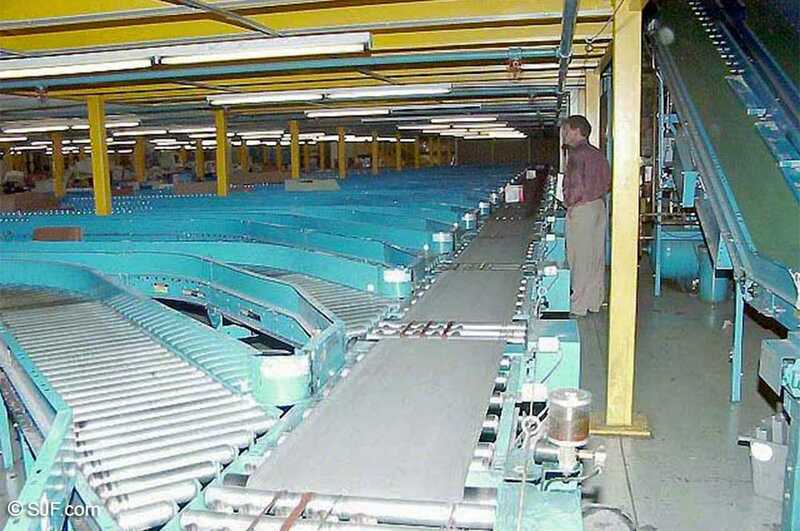 This sortation system consists of one induction zone and one Rapistan Dematic RS2000 slat sorter – Model 2420 with seven left hand lanes. 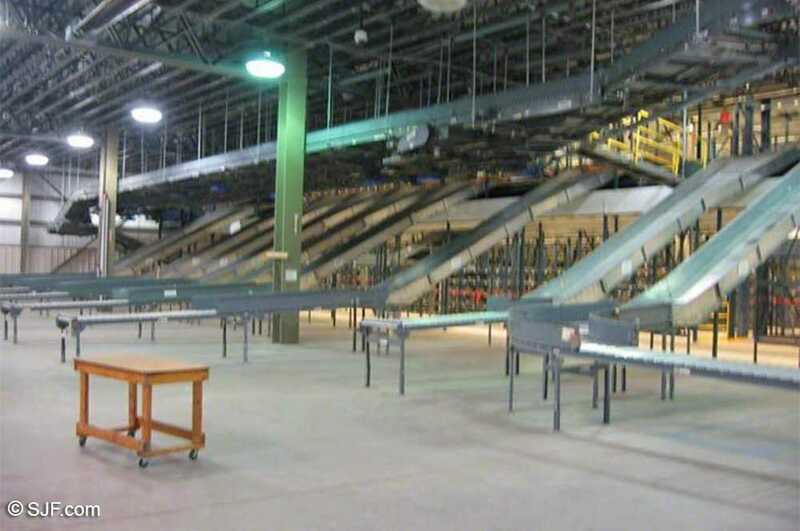 The total sort system is 180' long with a 40' usable bed. 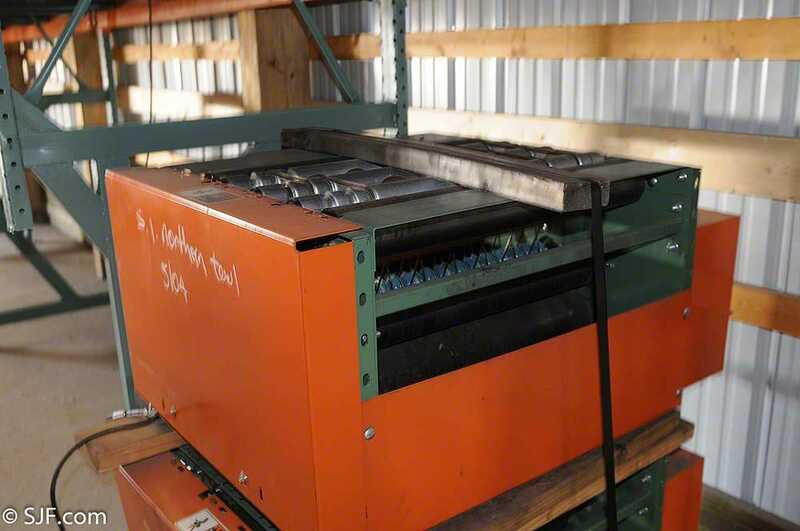 This sorter has been sold. 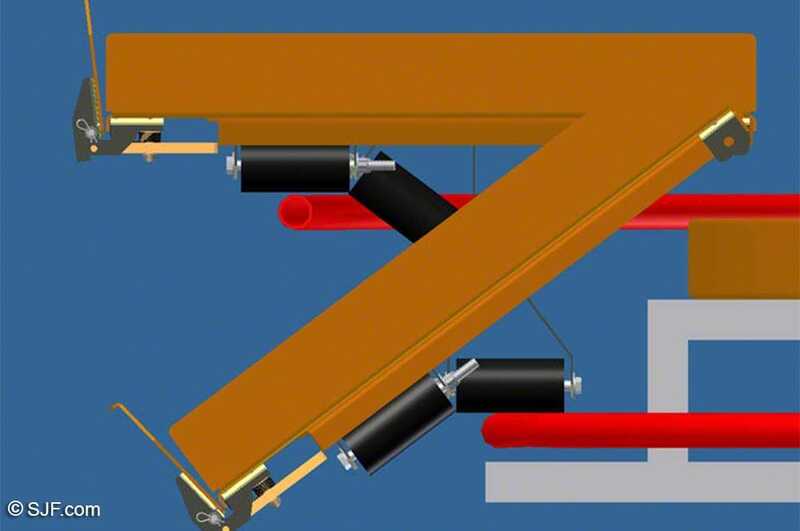 Please call for information on similar models. 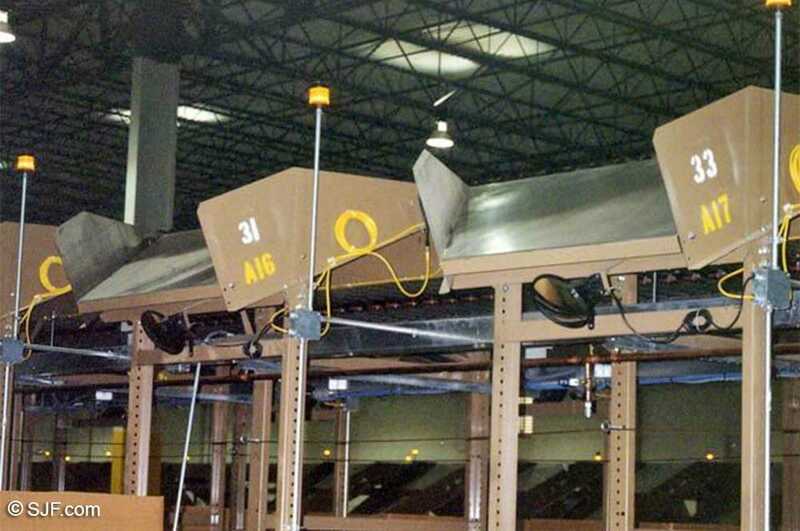 This Matthews bi-directional shoe sorter was only used in a facility for one year before being removed by us. 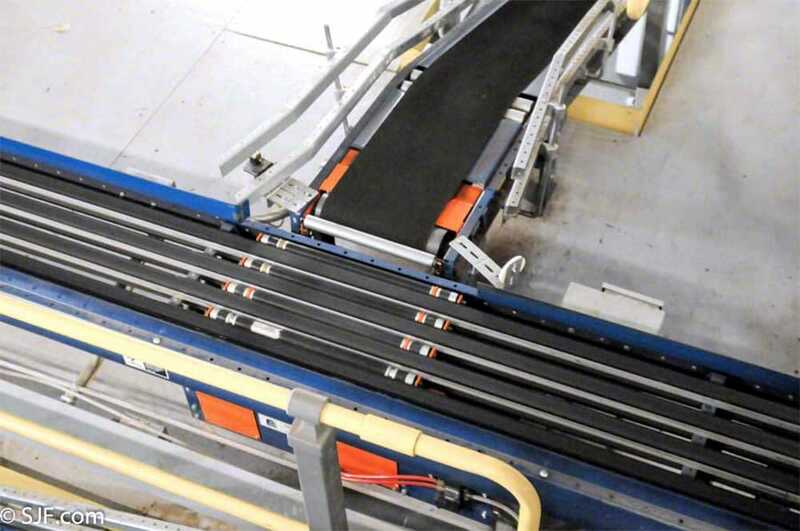 This sorter runs at 400' per minute is 54"W, 51" usable, and features a 17 left-handed and 17 right-handed diverts.